Melbourne is one of Australia’s popular state capitals, having enjoyed several trips to the Victoria’s capital there is plenty to explore. A short trip from the city is Franskston and the Morington Peninsula and going further afield the Little Murray River township of Swan Hill was worth a visit. Exploring Victoria has included a drive with Dad from Adelaide to Sydney during which we travelled through Ballarat, Ned Kelly country, Falls Creek in the summer and the boarder town of Albury. The best Sydney to Melbourne coastal drive, taking in Berry, Mollymook, South Durras and Lakes Entrance. JACK’S MAGAZINE is a remarkable historic place on the banks of the Maribyrnong River in Maribyrnong. Constructed over several periods from 1875 to 1920 for the storage of explosives, the bluestone buildings, tramways, earth blast mounds and canal showcase Victoria’s military and industrial past. MURRAY RIVER SALT’s harvest site near Mildura. NEWER VOLCANIC PROVINCE is a complex of volcanic centres formed by the East Australia hotspot across south-eastern Australia. It has an area of 6,000 square miles (15,000 square km) with over 400 vents and contains the youngest volcanoes in Australia. The youngest eruptions in the volcanic field took place at Mount Schank and Mount Gambier about 5000 years ago, when explosive activity formed several maars and associated lava flows. Some places to look out for are Stockyard Hill, Mount Blackwood, Macedon Ranges, Hanging Rock, Camels HumpMount Eccles, Mount Franklin, Mount Kooroocheang, Mount Moorookyle, Mount Mitchell, Mount Rouse, Mount Noorat, Red Rock Volcanic Complex, Penshurst, Mount Rouse, Mount Napier, Wallacedale Tumuli, Byaduk Caves, Mount Eccles’s crater lake, lava canal and natural bridge. Travel out to the Murray Sunset National Park to see the famous Pink Lakes for yourself. Located in the far northwest corner of Victoria, the lakes are a popular attraction for photographers, with their unusual colouring changing throughout the day, from a deep pink to a bright white. Set on three hectares of land on the banks of the Little Murray River, the Pioneer Settlement lets you experience Australian history first hand. 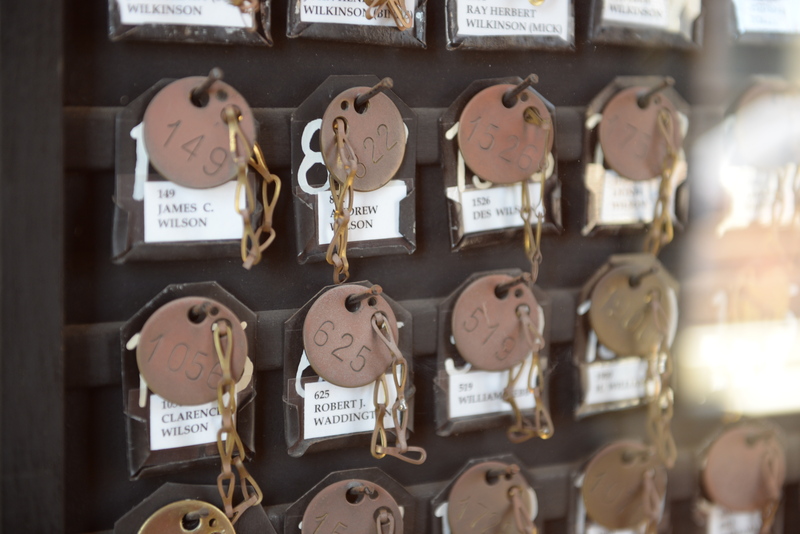 You will find real-life Mallee cottages, a hotel, schools and shops, plus our enormous collection of working tractors and machinery – sourced mostly from the local area. As a member of BSM ski club, Falls Creek, friends and I have relaxed in the snow village and skied in the snow storms. I am not so keen on the snow storms anymore. Thanks to Russell and Jane for the opportunity to be part of the club and enjoy many a holiday with friends there. Russell spent his childhood growing up in the area living at Bogon Village. He has taken many a skier on an evening adventure around the mountain and showed me how to make my first snow angel. I was regularly blessed with catching up with my childhood friend Bern and her husband Andy who were living in the village for several years. Then there was their very wonderful son Louis. Her Dad, Kevin and my Mum, Hilary have known each other since childhood. 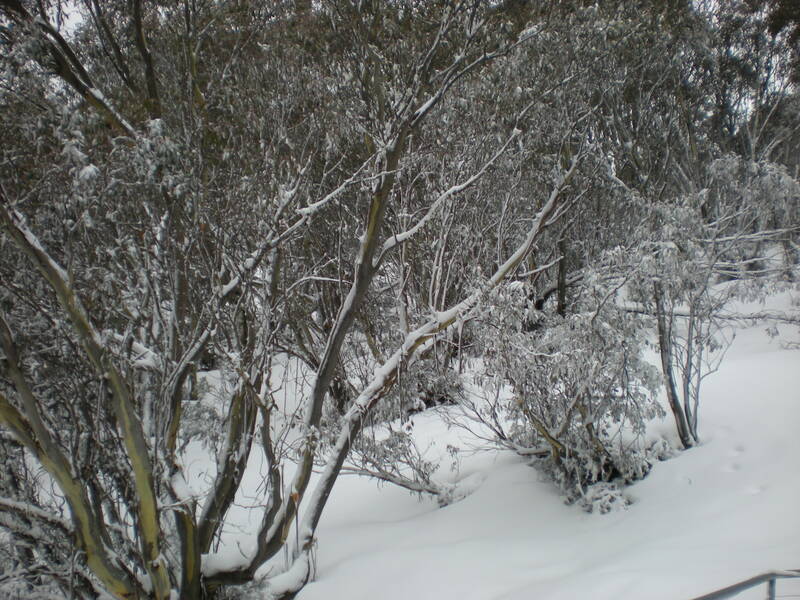 A Winter playground in Victoria’s high country, an alpine ski village where everything can be accessed on skis, looking over the spectacular Victorian High country and Mount Bogong in the Alpine National Park. The fist lodge was built in 1948 by workers from the Kiewa Hydro-Electric Scheme in Kiewa Valley. The first chairlift in Australia was build here in 1957. Flights from Sydney to Albury with connecting coach services in winter and coach services form Melbourne. The Great Alpine Road with a spectacular, winding drive through scenic countryside. Wangaratta, Mliawa Cheese Company, Bright, Mount Buffalo National Park, Mount Hotham alpine resort, Dinner Plain, Omeo and Metung. The Peninsula, an hour’s drive from Melbourne, Port Phillip coastline includes Sorrento and Portsea with white sandy beaches, beautiful bays, ocean beaches and hinterlands with galleries, spa retreats, hot springs, Red Hill markets, walking trails, national parks, golf, sail, surf, snorkel, swim, farms with accommodation from camping to luxurious homes. Ascend to the highest viewpoint on the peninsula for breathtaking views, many walking tracks, muddling mazes and stunning ornamental gardens. McClelland has a long tradition of innovation and success. Its entrepreneurial spirit in the last decade has doubled the size of the Sculpture Park to 16 hectares, more than trebled the attendance to over 130,000 visitors annually, acquired significant works and forged public/private partnerships to consolidate its role as an artistic hub and the focus for cultural tourism in the Frankston & Mornington Peninsula regions. with a carpark full of McLaren cars. SWAN HILL Third longest navigable river in the world, began to take shape 40 million years ago, spans the three states of Victoria, New South Wales and South Australia. Went here when I was at high school and still remember the little fairy penguin parade. Coastline of beaches, bays, blowholes, rocky outcrops, koalas, seals, short-tailed shearwaters, Nobbies Centre, Cape Woolamai, Rhyll Inlet, Koala Conservation Centre, National Park, markets and penguin colonies. Later visited the motorcycle Grand Prix circuit. An adventure to Victoria with Ian Hope and Margaret Dean, they were on there two month adventure from Adelaide to Melbourne and was able to join them for 11 days from Jan 5 to 15, 2016. The Sydney to Albury train leaving central at 7.32 am. Grocery shopping at Albury before heading to Yackandandah, former gold mining centre. The Yackandandah Community Development Company Ltd (YCDCo) was established in March, 2002 by seven concerned locals with the initial goal of securing the future supply of fuel in Yackandandah (a basic service function for the town that it is crucial to retain). In 1974 Tom O’Toole started his career as a bakery business owner by purchasing his first shop in Beechworth, Victoria. In 1977, he sold the business and moved to Augusta in Western Australia, where Tom O’Toole made his mark as a leading country baker. In 1984 Tom O’Toole returned to Beechworth, Victoria, and purchased the badly run-down bakery again, this time including an attached building for expansion, and has been in business ever since. Be sure to soak up as much Ned Kelly lore as you can while you’re at the site of the famous Kelly Gang’s last stand. 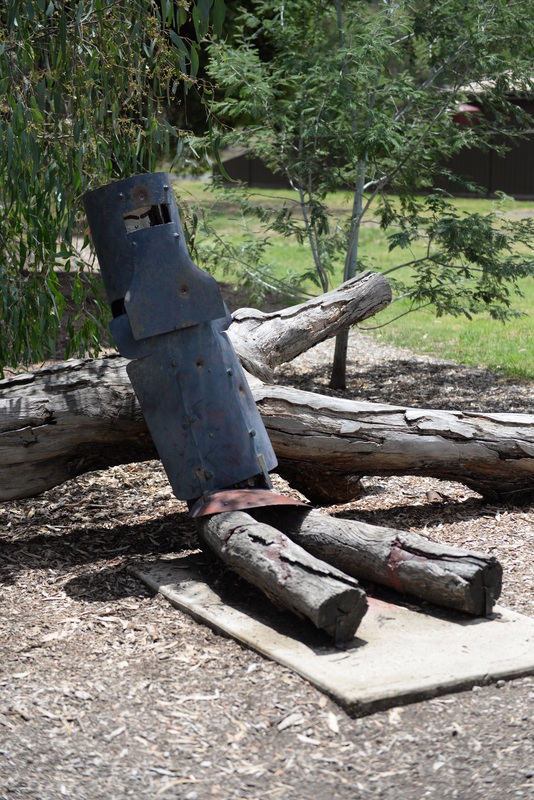 See the six-metre-high Ned Kelly statue ‘guarding’ the village. 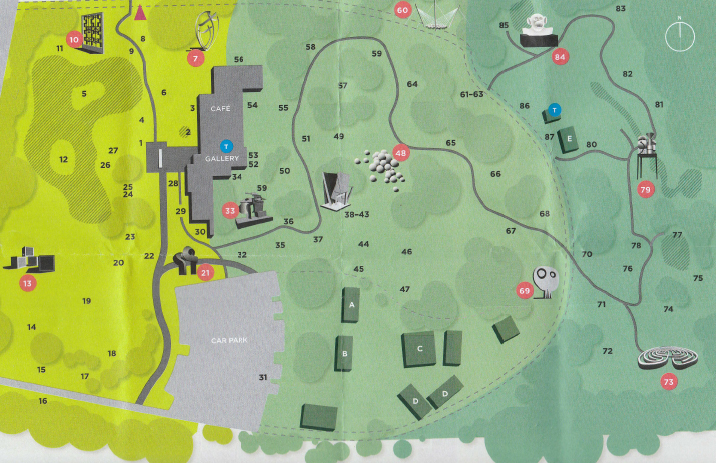 Witness Kellyland’s animated theatrical portrayal of the last stand, and grab a map from the visitor information centre or take a guided tour along the Siege Site Walk to explore several notable sites. Picnic at Hanging Rock, Violet Town, Broadford, Kilmore, Woodend, Dalesford, Creswick along the way. Never a direct road on this adventure. Ballarat Botanical Gardens is one of Australias most significant cool climate gardens, containing a remarkable collection of mature trees and marble statues set among colourful bedding displays. Located on the western shore of Lake Wendouree, approximately 4km from Ballarat CBD, the Gardens is an invaluable heritage and recreational resource. Ballarat Avenue of Honour, is famous for being the first avenue of its kind in Australia and the longest of its kind in the southern hemisphere. 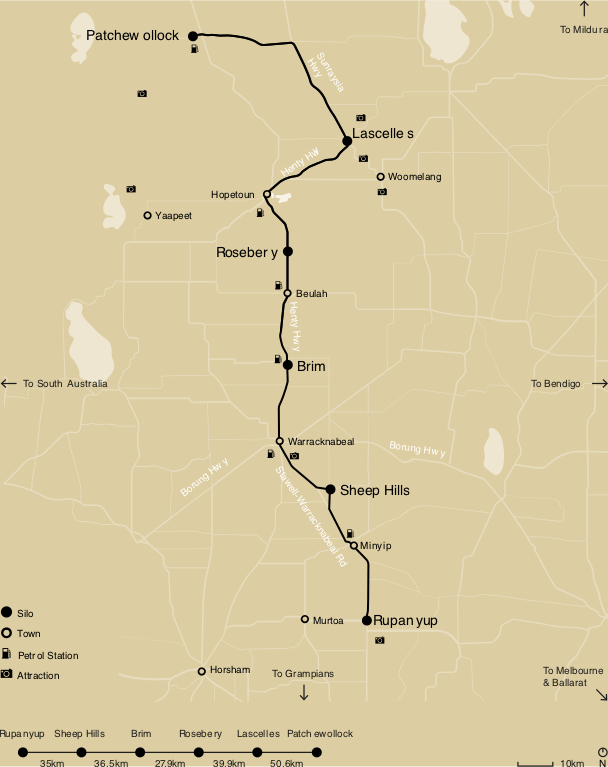 It incorporates the Ballarat Arch of Victory and extends for approximately 22 kilometres. In total, the trees represent 3912 Ballarat and district men and women who served in World War One – 528 of whom were killed in battle or died of wounds or disease. The trees were planted in order of the soldiers enlistment along the Western Highway, consisting of 3,771 trees. Most of the cost for the plantings was met by the Lucas Girls through the sale of dolls made from scraps they had salvaged at the Lucas Clothing Factory. Barwon Heads, holiday town of Barwon Heads is located on the southern coast of the Bellarine Peninsula and separated by the Barwon River from its twin coastal town of Ocean Grove. Ocean Grove is a seaside town in Victoria, Australia, located on the Bellarine Peninsula. Lake Victoria, Australia’s largest and most beautiful inland waterways, the Gippsland Lakes are a network of lakes, marshes and lagoons covering over 600 square kilometres. The Lakes are separated from the ocean by coastal dunes known as Ninety Mile Beach. Bird and marine life thrive here, with lake dolphins and pelicans frequenting many locations. Port Lonsdale, is situated on a rocky outcrop at the south-eastern end of the Bellarine Peninsula, on one side of The Rip, where the calm waters of Port Phillip meet the choppy seas of Bass Strait at this entrance point. On the other side of the bay entrance is Point Nepean, at Portsea on the Mornington Peninsula. Queenscliff is a small town on the Bellarine Peninsula in southern Victoria, Australia, south of Swan Bay at the entrance to Port Phillip. It is the administrative centre for the Borough of Queenscliffe. 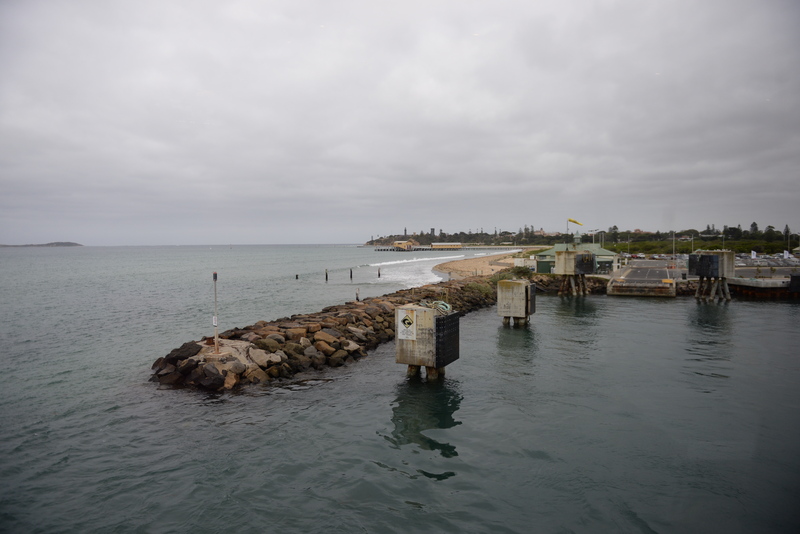 Loved starting our day with the ferry across Port Phillip Bay from Queenscliff to Sorrento. The ferries, MV Queenslciff and MV Sorrento carry foot passengers, bicycles, cars, motorbikes, trailers, caravans, motorhomes, coaches and trucks. Car vehicle fares are based on length and number of passengers, trucks based ion carrying capacity and coaches on passenger capacity. 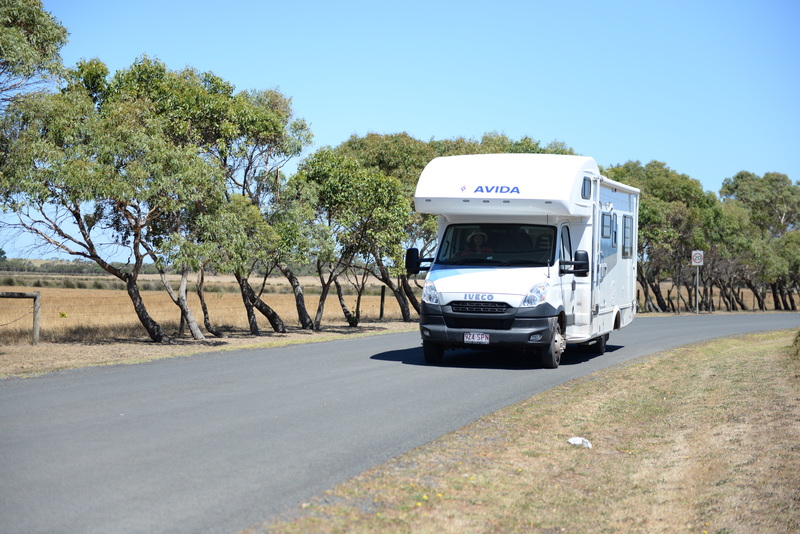 Port Nepean National Park is truly one of Victoria’s beautiful natural landscapes. A special place with so much to see and discover. It has a rich history and played an important role in shaping the early settlement, quarantine and defence of Victoria. The park is located at the very tip of the Mornington Peninsula, with outstanding coastal scenery and panoramic views of Bass Strait, the Rip and Port Phillip Bay. Explore the military forts and tunnels, discover the historic Quarantine Station, view the memorial where Prime Minister Harold Holt went missing or simply enjoy the coastal surrounds. Portsea, glimpse the lifestyles of the rich and famous at Portsea’s millionaire mansions, toast local characters at the historic Portsea Pub and feel the sun on your back as you learn to scuba dive. Rye, a coastal town on the Mornington Peninsula, nestled between Tootgarook and Blairgowrie. The Gippsland region stretches from Melbourne’s eastern outskirts all the way to the state border with New South Wales in Victoria’s far east. 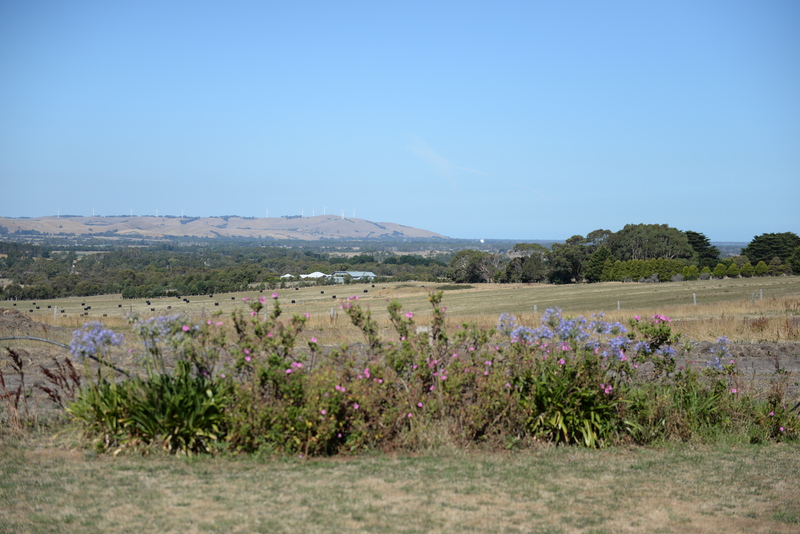 Korumburra, situated at the edge of the Strzelecki Ranges and on the doorstep of South Gippsland’s major tourist attractions, Korumburra is also a fertile agricultural hub known for its dairy industry. Once famous for its coal mining boom. Spent the day walking around up and down hills and exploring around town, having lunch at Urban 61, 61 commercial Street 03 5655 1108, urban-61@yahoo.com.au, which we all enjoyed. South Gippsland Railway When we were there the South Gippsland Tourist Railway’s historic train ride, which goes from Nyora to Leongatha via Korumburra had been suspended by the ‘authorities’ and the local community were in the process of organising a meeting the following week about what had happened and what they might do. Sunday Breakfast was a great start to the day and then a couple of hours enjoying the Coal Creek Community Park and Museum, with a train ride on the bush tramway at Korumburra Ibefore heading off to Wonthaggi. The museum was one of the highlights of our trip. Footprints: The Journey of Lucy and Percy Pepper traces the lives of an Aboriginal family in the first half of the twentieth century. Their story is a remarkable parable about the strength of family in the face of adversity. Wonthaggi is located in South Gippsland, several kilometres inland from the coast and between the seaside towns of Kilcunda and Inverloch. Between 1909 and 1968, black coal was mined from Wonthaggi’s network of underground mines, creating a thriving industrial settlement for miners and their families during those years. While mining operations have long ceased, the history of this period has been preserved at the State Coal Mine Historic Reserve. San Remo, watch from the shore as San Remo’s fishing boats return home each day with a fresh load of seafood. The gateway to Phillip Island and this authentic fishing village is the perfect getaway for seafood lovers, keen fisherfolk and for those looking to enjoy Phillip Island’s many natural attractions. Phillip Island, iconic wildlife and family fun, stunning white beaches and hi-octane motor sports, you’ll find it all on a seaside holiday at Phillip Island, just 90 minutes from Melbourne. See little penguins and sleepy koalas, teach the kids to swim on a quiet bay beach, and soak up all the action at the Australian Motorcycle Grand Prix. National Vietnam Veterans Museum is a unique Museum. Founded and built by Vietnam veterans to help and support veterans to cope better with their experiences during the Vietnam War (1962-1975) and after their return to Australia, the NVVM seeks to remember, interpret and relate the experience of the veterans of the Vietnam era and the enduring impact of the war on society. Rhyll for lunch, wander through the pristine natural surrounds of Rhyll and discover abundant wildlife before relaxing in the village atmosphere of this island retreat. Churchill Island Heritage Farm three years after George Bass and Matthew Flinders came across Churchill Island in 1798, Lieutenant James Grant constructed a simple cottage and planted crops with seeds supplied by his friend, the eponymous John Churchill, to create the first European settlement in Victoria. In 1872 the run-down island was purchased by Samuel Amess, who built the weatherboard homestead that you can visit today. Explore the historic house and farm buildings, walk through the traditional herb and flower gardens and orchard, and see ranger demonstrations of traditional farming techniques. Chocolate Factory, unless you are interested in reading about chocolate this is not worth a visit. A great start to the day wandering around the State Coal Mine at Wonthaggi, the State Coal Mine offers a journey back in time to discover what life working in a coal mine was like in the 1900s. Venture underground through the dark network of tunnels to get hands-on at the coal face and learn how Victoria’s hard working men extracted the black gold. Cape Paterson, explorer William Hovell first discovered black coal in the cliffs at Cape Paterson in 1826. In 1858, 2,000 tons of coal were hauled to the coast at Cape Paterson and taken by whaleboat to ships for transportation to Melbourne. Tram rails on the beach are reminders of further attempts to remove coal from the area later in the century, which still remain on the beach to the west of No 2 surf beach. Fish Creek, was a railway station on the South Gippsland line in South Gippsland, Victoria. The station was opened during the 1890s operated until 1991 when the line to Barry Beach servicing the oil fields in Bass Strait was closed, the line was then dismantled and turned into the Great Southern Rail Trail. Originally a gold mining town settled in 1871, mining ceased in the 1930s and it has since acted as the major service centre for Wilsons Promontory. Foster the gateway to Gippsland’s spectacular natural attractions. Originally a gold mining town settled in 1871, mining ceased in the 1930s. Franklin River Reserve Rest Area – Sth Gippsland Hwy, Toora, VIC Saw the most beautiful night sky here, will never forget the clear sky and the shining stars and the highlight of my trip. Port Franklin, is one of three ports, located around Corner Inlet, in South Gippsland. The area was first settled in the 1840s by timber cutters. Agnes Falls Scenic Reserve, hidden within the rolling green hills of the Strzelecki Ranges, the meandering Agnes River cascades over rocks into a deep picturesque gorge. At 59 metres, Agnes Falls are the highest single span falls in Victoria. Gippsland Regional Maritime Museum Port Albert, has an extensive collection of historic artefacts, photos and documents housed in the heritage listed Bank of Victoria built in 1861 to store gold from the Gippsland Gold Rush. The Museum houses an extensive library and archive which is available for research and there is a comprehensive education kit of student activities. Yardarm, is at the heart of the most beautiful country in Gippsland. From the splendour of Ninety Mile Beach to the delicious cool atmosphere of Tarra Valley National Park, from the historic excellence of Port Albert to the natural wonder of Wilsons Promontory, there is somewhere here to please everyone. Sale, this historic Port first opened to shipping in 1890 as the westernmost port in the Gippsland Lakes. The cutting of the Sale canal in 1898 linked the town to the Thomson River and established Sale as a busy port for steamers. Its prosperity grew from nearby mountain gold rushes and its strategic location on the route between Port Albert and the gold diggings. It developed from being declared a borough in 1863, to a town in 1924, to finally a city in 1950. Latter day prosperity has stemmed from its proximity to the offshore oil and gas fields of Bass Strait. Historic Swing Bridge on the Thompson River. which has been renovated and once again opens to allow the larger boats to go through. Drift back into a different time, when our waterways were our highways, and journey from the Port of Sale to the landmark Swing Bridge. Spot birds and wildlife as you cruise and your guide recounts the region’s remarkable stories, from its first people the Gunnaikurnai, through early settlement to the present day. The scene is set as you board The Rubeena, a classy wooden boat first launched at Lakes Entrance in 1912. Relax into her quiet rhythm and enjoy your voyage along the Sale Canal and Thomson River, surrounded by Red Gums, birdsong and reminders of a fascinating heritage. The Sale Canal is an excavated channel approximately 2400 metres long and 30 metres wide providing a direct connection between Flooding Creek in the City of Sale to the lower reaches of the Thompson River. 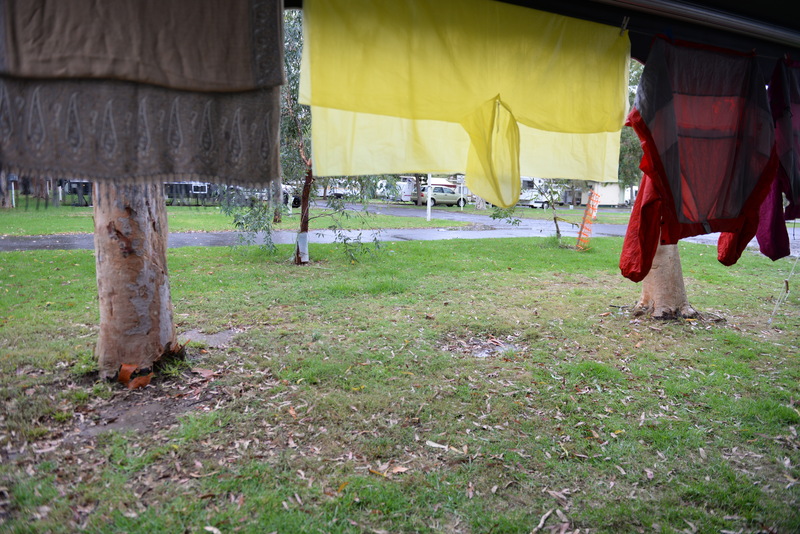 In the afternoon the sys opened, came down with heavy rain resulting in a relaxing afternoon spent drawing under cover of the motor home awning and watching the local ducks enjoy the water puddles. It turned cold with donnas out to cover up while watching television and totally different from the day before where we had the air conditioning on when heading to bed. Cold Morning and a drive to Frankston with morning tea at Trafalgar, then seeing the bay at Carrum before catching the train to Melbourne for my flight to Sydney.